Record precipitation throughout much of Utah beginning in October 2004, and record snow packs, particularly in southwestern Utah, brought us an active spring landslide season in 2005. The UGS has documented over 85 landslides in 2005, and this is probably only a small percentage of the total in the state. Most of the documented landsides were reactivations of existing landslides, both natural and human-caused. 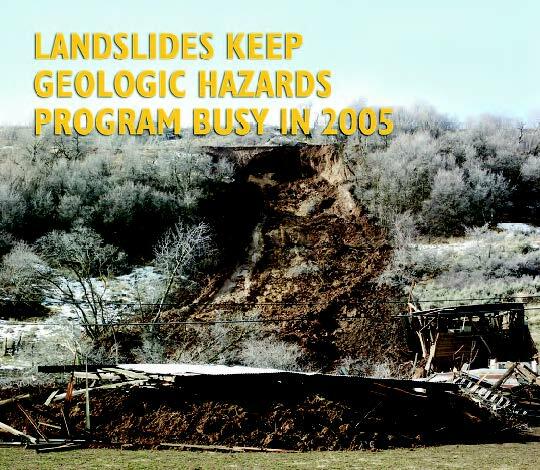 Landslide types included rock falls, debris flows, and both rapid and slow-moving slides. 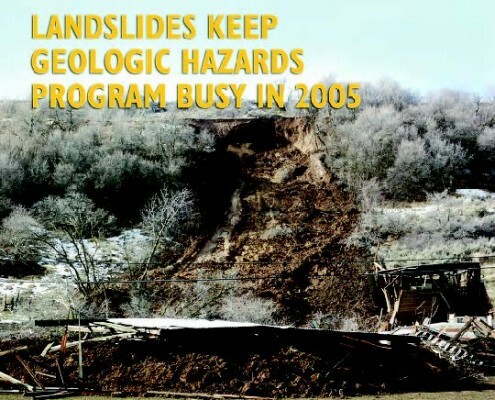 Here we discuss a few of the notable landslides of 2005 that the UGS investigated to assist local governments in emergency response; for more information on these landslides, visit the UGS Web site at http://ugs.utah.gov/ utahgeo/hazards/landslide/index.ht m#recent. On February 20, a landslide in South Weber, Davis County, moved across and blocked South Weber Drive. The landslide destroyed a barn south of the highway and flowed into a field north of the highway. The landslide was just below the Davis-Weber Canal and likely started as a rotational slide in the canal embankment, but quickly transformed into a rapid earth flow about midway downslope and ran out 150 feet beyond the toe of the slope in a period of about a minute. 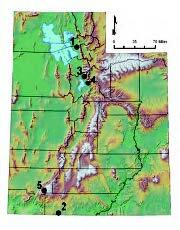 The landslide occurred in one of the steeper parts of the slide-prone north-facing slope along the Weber River underlain by sand, silt, and clay of the Pleistocene Lake Bonneville Weber River delta. Other landslides occurred on February 20 and again on May 11 about 3 miles to the east in a similar slope above a subdivision in South Weber. On March 12, a 10-year-old boy was killed when a vertical stream cut along Kanab Creek in Kanab, Kane County, collapsed in an earth-fall-type landslide, burying the boy and partially burying two girls. The girls, one covered by landslide material to her waist and the other to her knees, were able to free themselves and began searching for the boy, but were forced to flee when a second section of the stream cut collapsed. The landslide involved about a 100-footlong portion of the approximately 60-foot-high vertical stream cut in Holocene-age sandy Kanab Creek alluvium. 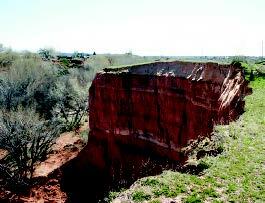 The landslide resulted in a pile of material at the base of the cut up to 20 feet thick. 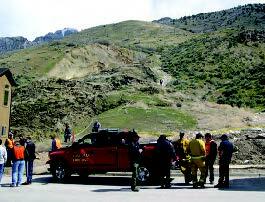 Workers using heavy equipment required 15 hours to recover the boy’s body. Deep, vertical cracks parallel to the face of the cut served as the failure plane for the landslide as material detached and fell on the children. On April 28, a landslide that had moved in 1983 reactivated above a Cedar Hills subdivision in Utah County and slid against the back wall of a four-unit townhouse. Residents of the townhouse evacuated as the slow-moving landslide crushed vinyl fencing, air conditioners, and deck supports at the back of the units and days later pushed through the back wall and foundation, destroying the structure. The landslide is on a southwest-facing slope and is part of a larger prehistoric landslide complex associated with the Manning Canyon Shale, a highly slide-prone geologic unit commonly found in the east bench of northern Utah County. The UGS placed stakes on and adjacent to the landslide, and the Utah County Surveyor’s office, using high-resolution Global Positioning System (GPS) techniques, monitored movement by resurveying the stakes periodically. Movement rates increased immediately following significant rainstorms, and then slowed or suspended during subsequent dry periods. The landslide has largely stopped moving but remains unstable, and a smaller, new landslide forming above the head of the main slide may one day be incorporated into it. On May 12, a large rock fall from a cliff high on “Y” Mountain above Provo spawned many individual falling rocks, some of which ran out nearly a mile from the source. 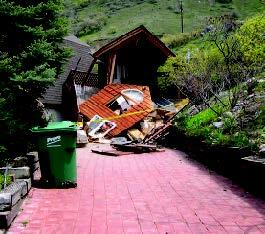 One of the rocks impacted the southwest corner of a guest house on the east bench of Provo. No one was home at the time; the structure is likely a total loss. The source of the rocks was a cliff in the Mississippian Deseret Limestone about 2600 vertical feet above the guest house. The rock that impacted the guest house measured approximately 7 x 5 x 4.5 feet and weighed about 13 tons. Many rocks from the rock fall left impact craters (bounce marks) and trails of flattened oak brush on slopes at the base of the cliff and on the slope just above the damaged house. On June 3, following a period of rapid snowmelt and a day-long rainstorm, a large debris flow from Black Mountain above Cedar Canyon in Iron County inundated State Route 14 between Cedar City and Long Valley Junction, resulting in the highway being closed for a week. The source of the debris flow was a landslide from a cliff in Cretaceous sedimentary rocks at an elevation of about 9800 feet, just above the retreating snow line as the record southwestern Utah snow pack rapidly melted. 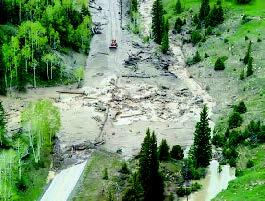 The landslide material liquefied, transformed into a debris flow, and flowed 1.5 miles before emptying into Crow Creek, which flows along State Route 14 in Cedar Canyon. The debris flow dumped mud, rocks, and logs into Crow Creek, which then caused flooding, plugged culverts with debris, and both undercut and buried the highway for several miles downstream along Crow Creek. This was one of the few debris flows of the 2005 spring season, but was perhaps the largest since 1983. The UGS continues to study these landslides to better understand their triggering mechanisms, movement characteristics, and implications for future development. We worked closely with each of the local governments affected by the landslides to assist them in responding to the emergency and subsequently to monitor movement and assess the longer-term hazard. Landslides are a relatively common occurrence in Utah, particularly during periods of increased precipitation and rapid snowmelt, and we must adequately plan for them as we develop our hillsides and canyons.